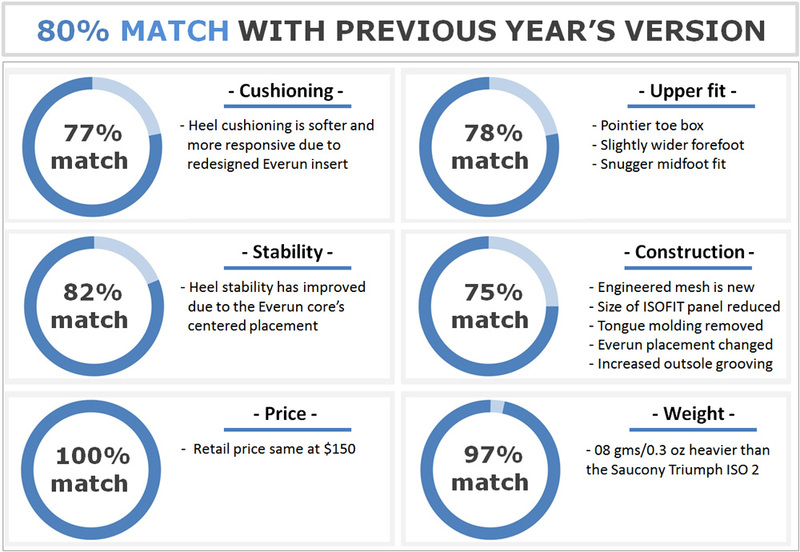 Saucony’s marketing pitch: Updated Everun is centered under the heel for enhanced energy return at heel strike. Upper: Engineered mesh, inner sleeve, strap-based lacing. Midsole: Everun topsole and TPU foam insert under the heel. 8 mm heel offset. 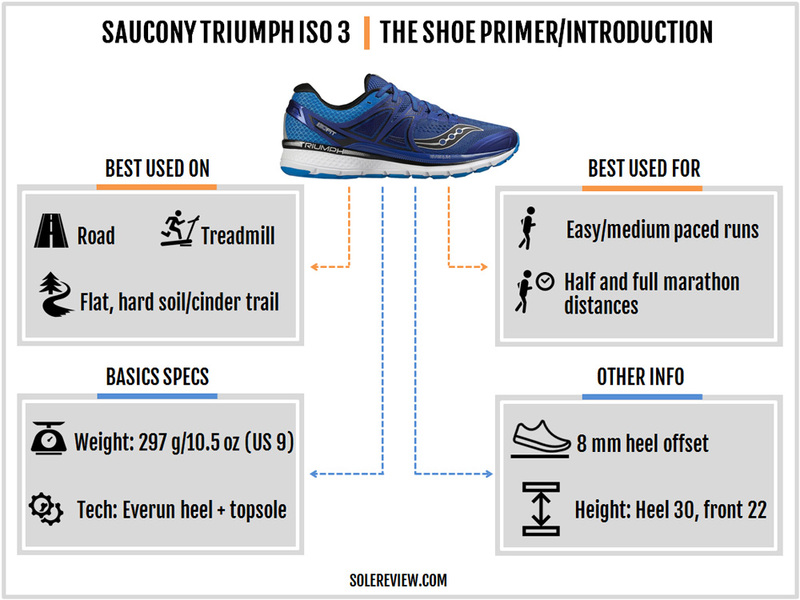 Most of the Triumph ISO 3’s cushioning goodness is concentrated under the heel due to the large Everun core; this makes the ISO 3 a shoe better suited for rearfoot strikers. The ISOFIT cage loses yet another strap vs. the ISO 2. It just feels like yesterday when Saucony introduced the first version of the Triumph ISO. The shoe had the brand new ISOFIT upper, a design which utilized a floating synthetic cage over the midfoot. The ISOFIT upper was paired to a midsole featuring Powergrid+; an all hype, no substance cushioning technology which was marketed with much enthusiasm at the time, only never to be seen or heard of again. The Powergrid+’s quick demise was followed by Saucony’s Everun tech on the Triumph ISO 2. Given the material similarity (steam molded Polyurethane), the Everun is clearly inspired by adidas Boost, except for a different shape and volume. Unlike most adidas Boost running shoes which use a full-length Boost midsole, Saucony applies a different formula when it comes to allocating Everun. On lower priced models such as the Ride 9 and Guide 10, Everun is only present in the form of a thin sheet called the ‘Topsole’. The Triumph ISO 3 has a lot Everun than the Ride 9, but the increase is restricted to the rear-foot only. 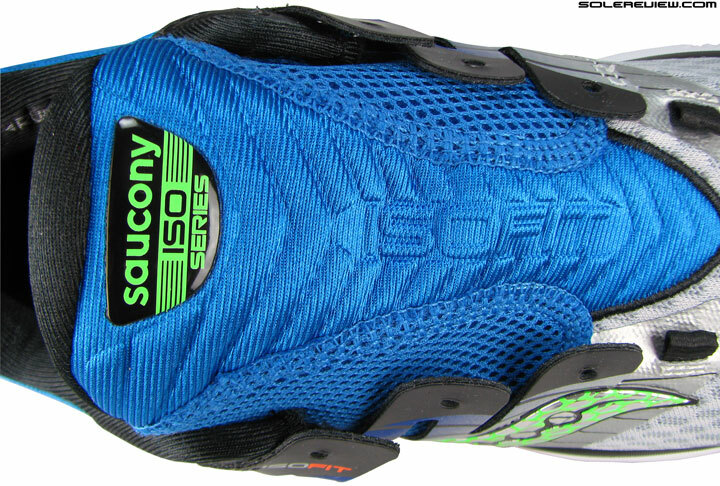 On the ISO 2, the rearfoot had an Everun crash pad in addition to the topsole. 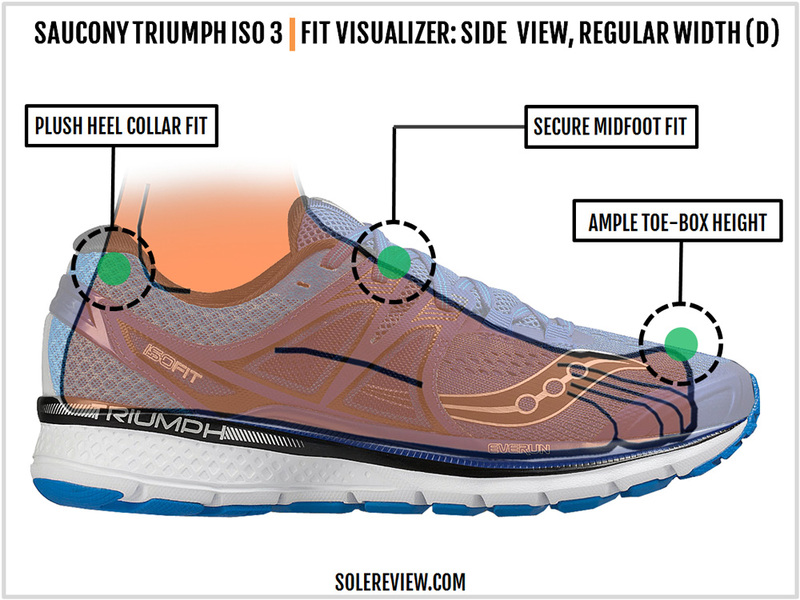 The 2016 Triumph ISO 3 changes the placement of the heel Everun, affecting the cushioning behavior in the process. 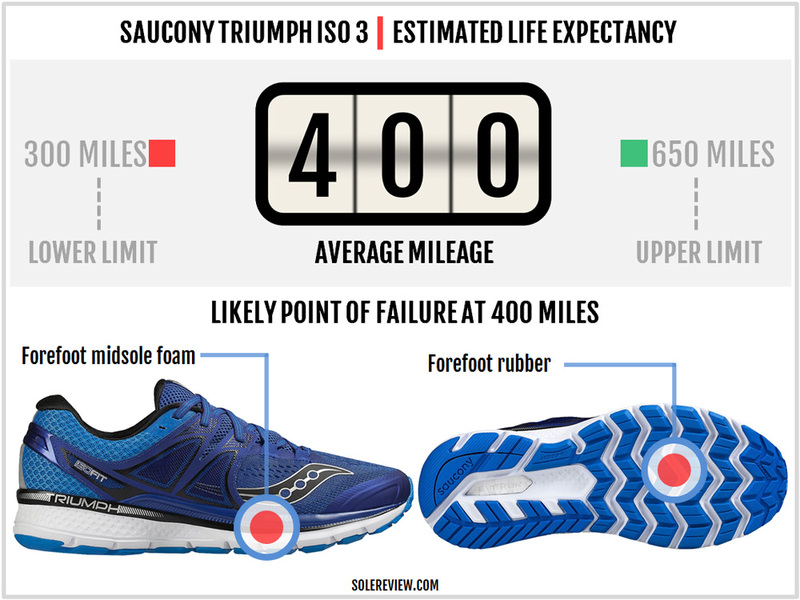 Till now, the Triumph used to be Saucony’s top-end neutral cushioning shoe, priced above the firmer Ride 9. However, that might change with the introduction of the Freedom ISO in December 2016 – Saucony’s first shoe with a full-length Everun midsole. The Freedom is certainly not a new concept in the footwear industry (Boost), but new for Saucony. More details will emerge on the Freedom ISO after its release. At this time, the Freedom appears to be in a slightly different category than the Triumph considering its 4 mm heel drop, lower midsole stack, and a minimally built upper. 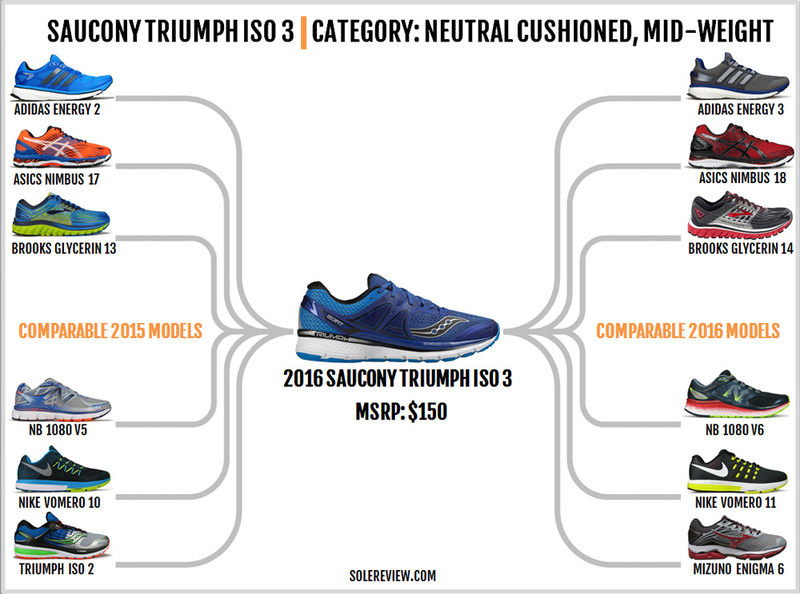 Until the Freedom ISO shows up, the Triumph ISO 3 is Saucony’s neutral cushioning top dog. This means that the Triumph shares the same pedestal with the soft Asics Nimbus 18, the soft and responsive adidas Energy Boost 3 and the Nike Vomero 11. On the firmer side of premium neutral cushioning, the New Balance 1080 V6 and Glycerin 14 compete with the ISO 3. These shoes are not as soft as other $150 neutral models, but offer a supportive ride quality in lieu. So what’s the difference between, say, the Triumph ISO 3 and a Nimbus in cushioning terms? Or between the ISO 3 and the Vomero 11? The quality of cushioning distribution would be the short answer. The ISO 3’s cushioning and responsiveness is rearfoot loaded, whereas other models on the chart have a more uniform cushioning spread. We’ll cover this in depth during our cushioning and responsiveness sections. Like most year-to-year model successions, the Triumph ISO 3 arrives with plenty of upper updates. But if you had to focus on only three areas, then those would the change in the ISOFIT strap design, the type of upper mesh, and the toe-box alteration. Both the ISO 1 and ISO 2 used spacer mesh to construct their uppers; the ISO 3 replaces that with an engineered mesh. For those of you who are not familiar with that term, just know that an engineered mesh has both closed and ventilated areas built into a single mesh component. Whereas on a regular spacer mesh, the texture is the same throughout, and if you wanted to change that, you’d require a second piece of mesh. An engineered mesh eliminates the need for multiple components, which means less stitching. Less stitching equates into better interiors. 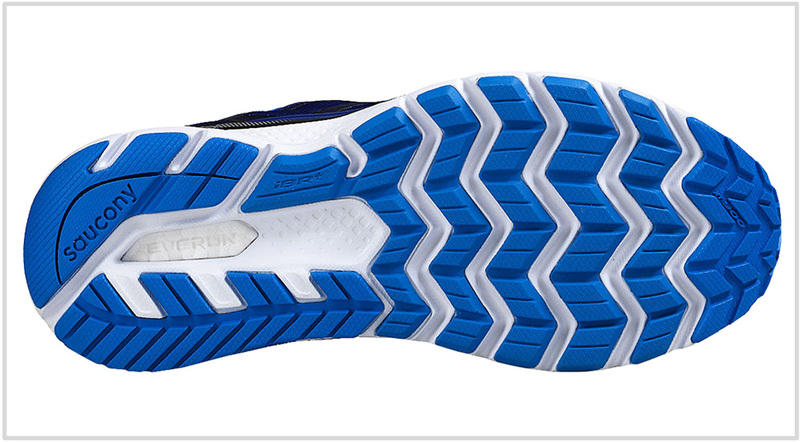 On the Triumph ISO 3, the forefoot top and sides have an open-pored, ventilated area. These two zones are separated by bands of tightly weaved mesh which provide structural support. So the forefoot has better ventilation than the ISO 2, and on par with the ISO 1’s forefoot since the mesh used at the time had a relatively open weave. The Triumph ISO 3’s toe-box get more structure than the ISO 2. There’s extra molding on the sides, and the toe-box is slightly lower when compared to the ISO 2. In a way, the toe-box design is closer to the 2014 Triumph’s dimensions. One of the minor issues on the original 2014 Triumph’s ISOFIT was that the last lacing strap had the tendency to get in the way while flexing. Last year’s ISO 2 made a small design correction by removing the first strap, and substituting that with simple speed-loops. The ISO 3 goes a step further, and reduces the ISOFIT strap count from three to two. Now, instead of three straps, the lacing is distributed across two loops and two straps. So what’s next on the ISO 4? Maybe, the new Triumph will be based on the Freedom ISO design, which drops the external straps and instead integrates the loops into the single-piece, engineered mesh upper. The entire industry is headed towards this design direction, and it’s logical that Saucony will too. The ISO 3’s tongue is thinner than the ISO 2. The new tongue gets rid of all the fancy molding and uses a traditional spacer mesh in its place. There’s not much change in the heel collar. The ISO 3 uses the same, soft lining with foam fill. What’s changed however, is the external heel counter. The usage of plastic has decreased, a design trend we’ve observed across successive Triumph versions. The first Triumph had a full size, transparent counter. Last year, that was downsized to a smaller component. The T-3 goes a step further and trims down the plastic to a band wrapping around the heel. Reflectivity is upgraded on the T-3’s heel. A sizable vertical overlay over the heel center replaces the ISO 2’s thin side-strips. Like the Triumph ISO 2, the ISO 3 also gets an Everun foam crash pad – in addition to the ‘topsole’ sheet placed above the midsole. That similarity aside, the new midsole does a lot of things differently than the ISO 2. 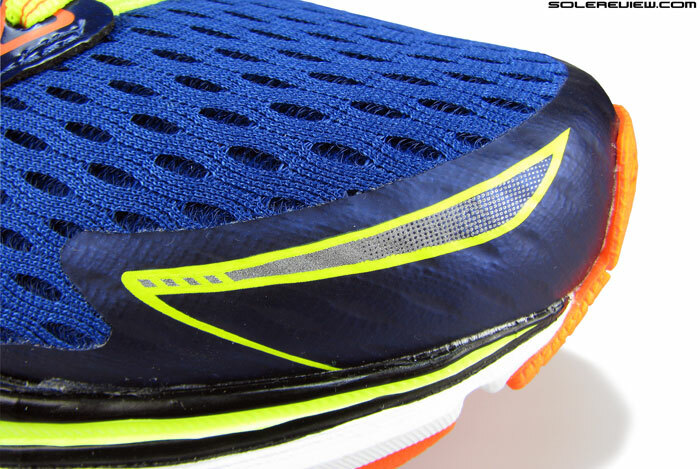 The Everun crash pad is moved inside the midsole instead of being on the outer side. So on the outside, all you get to see is the firm EVA casing. If you turn the heel over, there’s a small exposed area where you get a glimpse of the Everun foam. Since the Everun is inside, Saucony has refrained from painting it over, leaving it in its original white color. Though the Everun is only visible through a small area, know that the actual component is pretty large. The embedded Everun pads the entire rearfoot, and extends a little further into the medial midfoot side. This design reminds us of the adidas Sonic Boost, one of adidas’ early Boost shoes which contained the Boost foam within an EVA casing. The entirety of the forefoot midsole is plain EVA, and the only Everun available is in the form of a thin sheet under the insole. The outsole geometry is a familiar sight if you own a pair of the ISO 2. The forefoot lugs are blown-rubber (softer) strips of forward facing Chevrons, and the rearfoot uses harder rubber pieces separated by a foam cavity. 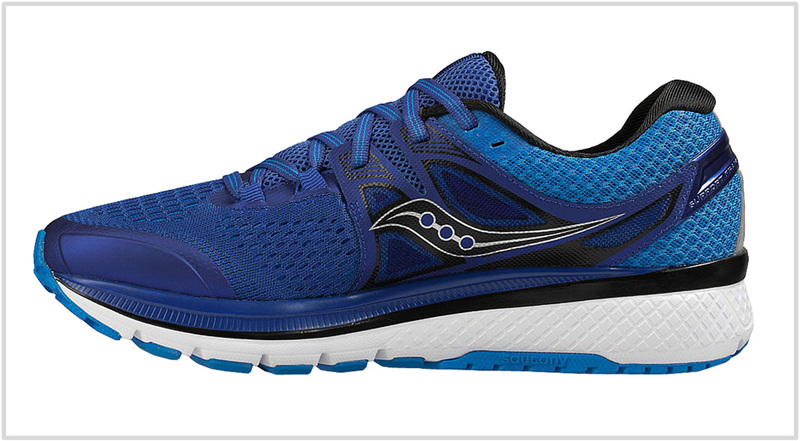 Within that familiar layout, Saucony has made a few changes. Firstly, the flex grooves are deeper under the forefoot and rearfoot. Secondly, the under-heel cavity of exposed foam is wider compared to the ISO 2. 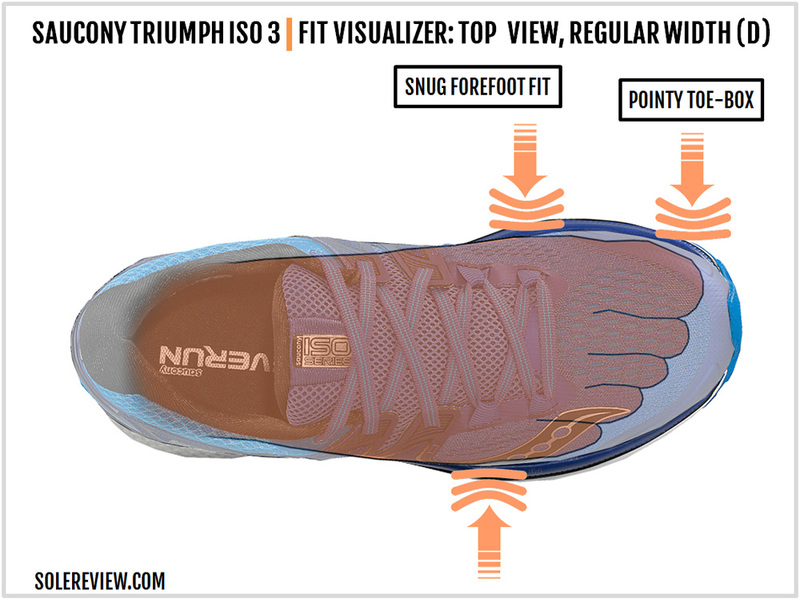 Considering that little else has changed under the forefoot, the Triumph ISO 3 is more flexible than the ISO 2. The edges of the midsole walls adopt an unusual design. The edges have an exaggerated rise from the midfoot to the forefoot of the outer midsole; on the medial side, the edges curve upwards under the arch area. If you feel that you’ve seen this design before, then your hunch is right. 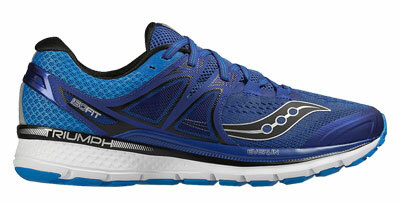 This design is a straight lift from the Saucony Echelon 5, another neutral priced slightly lower than the Triumph ISO 3. The Triumph ISO 3 has a robust build quality, and the shoe will experience wear and tear in a linear way. Areas like the softer forefoot outsole will shred after a few hundred miles, followed by the harder rearfoot rubber. It helps to keep in mind that since the midsole has a lot of Everun in the rear and nearly none in the front, the cushioning quality will degrade unevenly. Everun is made of the same stuff which constitutes adidas Boost, so its long-term durability will exceed that of regular foam. So towards the end of the Triumph ISO 3’s life, there’ll be a lot of cushioning left in the rearfoot, while the forefoot will come up short. The ISO 3’s fused toe-bumper happens to be slightly lower than the ISO 2’s, so there’s a slight decrease in height. But this is a relative comparison, and the toe-box isn’t shallow – there’s no poking of the big toe through the mesh. Over the midfoot, the first two lacing rows are now loop based instead of being connected to the ISOFIT panel. The speed loops do a good job of securing the midfoot fit, but cinching them too tight causes the upper to bunch up. The ISO 2 also behaved similarly, but to a lesser extent. Last year, only the first row was based on speed-loops. Also, the ISO 2 tongue was molded over the center which made upper puckering harder than the ISO 3. Depending on the lacing pressure, the bunching of material can be an eyesore or a fit issue. If the lacing is pulled too tight, then folds will be formed over the tongue, causing slight discomfort over longer runs. 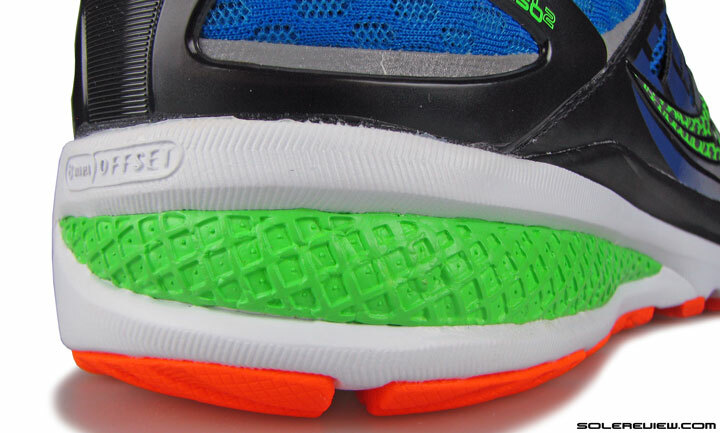 The speed loops also apply lacing pressure near the top, as compared to the ISOFIT’s more even spread. While the ISO 3 has a thinner tongue, the lacing pressure isn’t an issue. The flat laces sit flush over the foot, and the spacer mesh tongue has adequate padding. There’s no change in the heel fit. The soft fabric and foam combination grip the foot the same way the ISO 2 did. The toe-box is pointy shaped compared to the ISO 2, and that’s because of how the toe-bumper is molded. Depending on your foot shape, you might find the ISO 3 run slightly shorter in size versus the previous ISO. In contrast, the forefoot feels more relaxed, as one of the ISOFIT synthetic straps is eliminated. 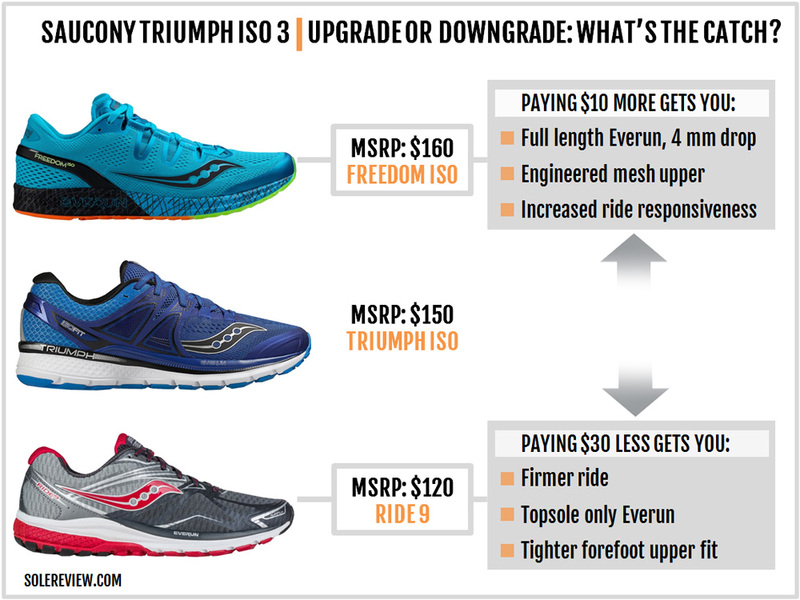 For the same reasons, forefoot flexing is less of a chore when compared to the Triumph ISO and ISO 2. The rearfoot has lots of soft cushioning. Just below the insole, there’s the ‘topsole’ layer, and below that is the chunky Everun heel insert. And if that wasn’t enough, the heel outsole has a wider cavity of exposed foam, which adds to the cushioning with its trampolining effect. The forefoot, however, has an entirely different quality of cushioning. Unlike the rear, the only Everun it gets is the thin topsole, and the foam below it is EVA, not Everun. 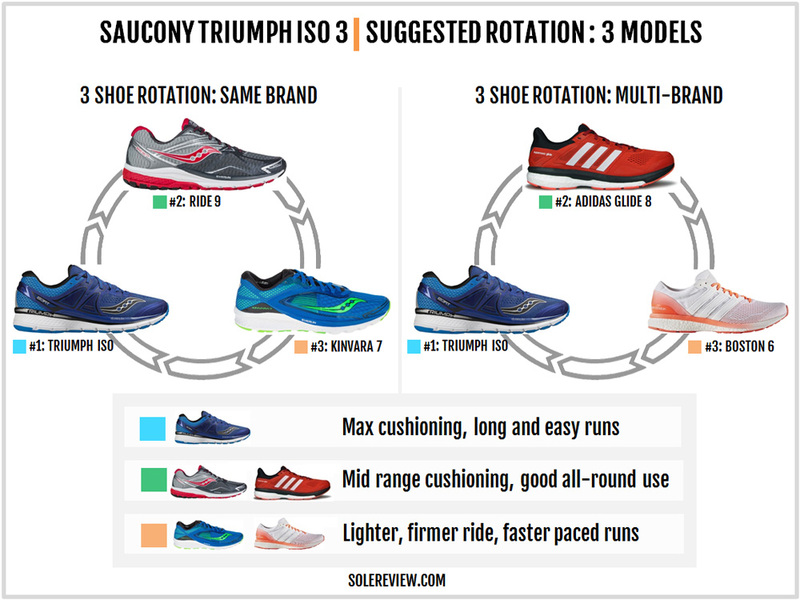 Needless to say, the Triumph ISO 3’s cushioning distribution is heel biased and will benefit rearfoot runners. Forefoot runners will experience a cushioned ride (the midsole thickness is a generous 22 mm), but just of a different quality than the Everun heel area. For reasons outlined above, the heel is more responsive due to the combination of the topsole, Everun core and the foam cavity. The forefoot rides flatter compared to the rear. 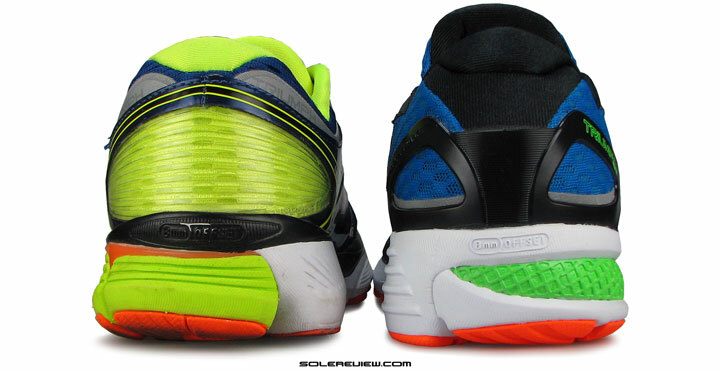 There’s a trace amount of rebound felt due to the Everun topsole, but pales in comparison to the heel. Again, the Triumph ISO’s responsive ride is best extracted by rearfoot runners. So under the circumstances, what is a forefoot striker to do? Well, you can be content with the ISO 3’s padded forefoot minus the responsiveness. Or switch over to a pair of adidas, where full-length Boost midsoles are common place. The Ultra Boost ST (pay no heed to its stability pretensions) is great for a soft ride, whereas the Glide Boost has a sensible mix of cushioning and fast feel. 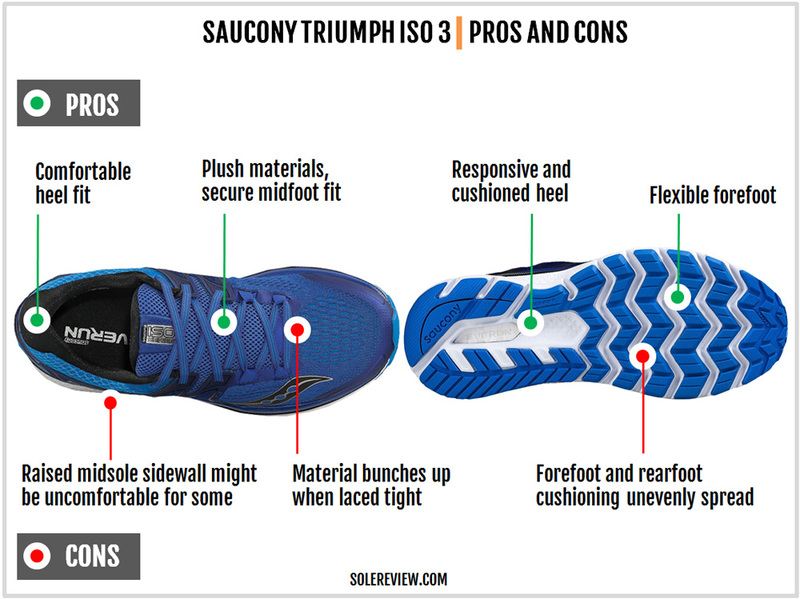 As far as the heel stability is concerned, the Triumph ISO 3 performs better than the ISO 2. The updated ride quality is due to the Everun foam’s relocation to the center of the rearfoot. The ISO 2 had a lateral bias due to the Everun crash pad placed on the outer side. 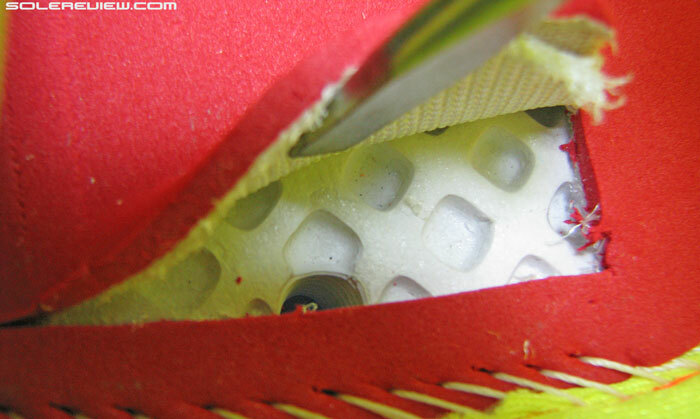 With the Everun moving inside the midsole, the compression is centered. You could say that the ISO 3 has a more ‘neutral’ ride character than the ISO 2. The forefoot is stable; the relatively firmer EVA foam and wide midsole flare help center the foot. Also worth noting is that the midsole walls extend higher under the arch compared to ISO 2, so some runners will notice the increased feel of under-arch support. The heel-to-toe transition has a slightly sluggish quality. The rearfoot has a noticeably higher level of cushioning and responsiveness, while the forefoot is relatively firmer. This inconsistency in material property across the midsole length produces slower transitions. Not that the ISO 2 was any better in this regard. But when you compare the ISO 3 to the ISO 1, the latter had a smoother and quicker transition quality due to the single density midsole. In recent memory, the ISO 3’s heel-forefoot cushioning distribution feels a lot like the 2015 New Balance 1080 V5. On the list of positives, the rearfoot is both cushioned and responsive. The forefoot, while not as responsive as the heel, still has ample amounts of cushioning. The upper fits great for the most part, a result of the material used and the updated ISOFIT design. The ISO 3 has improved rearfoot stability over the ISO 2. 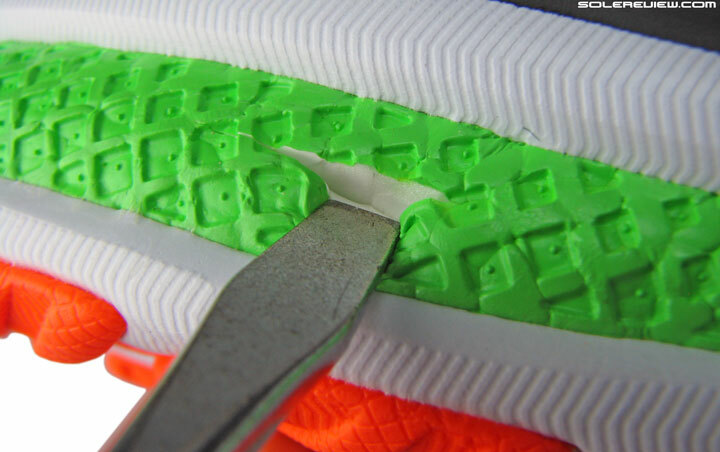 Moving the Everun core inside the midsole keeps the ride centered. The cushioning overload under the heel makes it too much of a good thing, though. The forefoot feels flat, and you get the sense of an uneven cushioning distribution. There’s a small chance that the raised midsole edges might cause mild discomfort over longer distances of 7 miles+. The medial side shouldn’t be an issue, but the higher walls of outer midsole might dig into the foot. The first two lacing rows are speed-loops dependent, and the upper puckers up if apply too much lacing pressure. Saucony still needs to work the kinks out of the ISOFIT system. The firmer Ride 9 complements the ISO 3 as shoe which feels faster due to its firmer ride, but is cushioned enough to go the distance. The Everun content is limited to the topsole only, and the rest of the midsole is EVA. The upper fits tighter than the ISO 3 in the forefoot. Given that the Triumph ISO 3 has a decent amount of Everun foam, it makes sense to shop adidas when considering other brand alternatives. 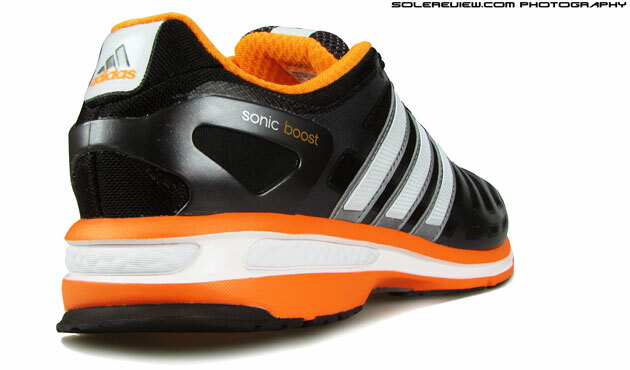 The Glide Boost has a full-length Boost midsole which produces a firm and responsive ride. If you’re looking for a fast and lightweight adidas shoe, then the adios 3 or Boston 6 should do it. This way, all three shoes will share a common cushioning material – Boost+Everun – while being differentiated enough. 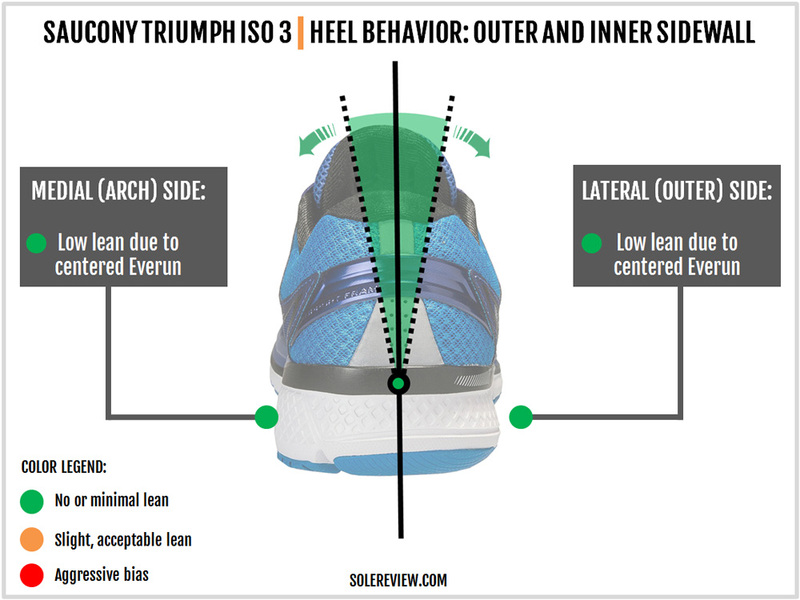 Out of all the updates, the revised placement of the heel Everun is the most significant. The redesigned heel not only changes the cushioning quality but alters the stability levels too. 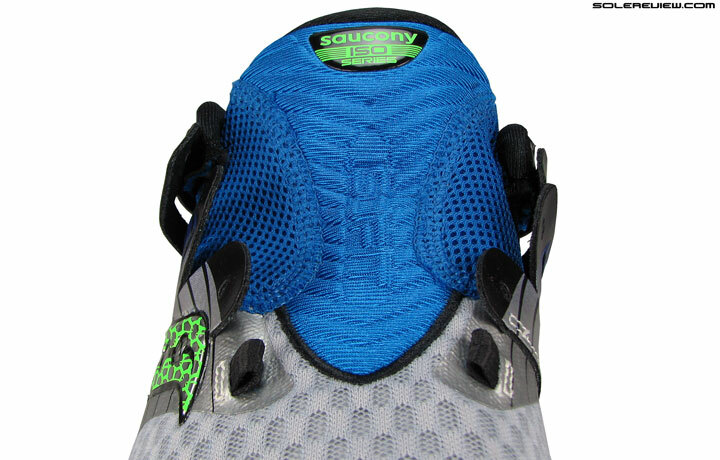 As for other minor changes, there’s the newly introduced engineered mesh, and the reworked ISOFIT lacing panel. The toe-box turns slightly pointy due to how the new toe-bumper is designed. There are a couple of ways to look at the whole upgrade approach. 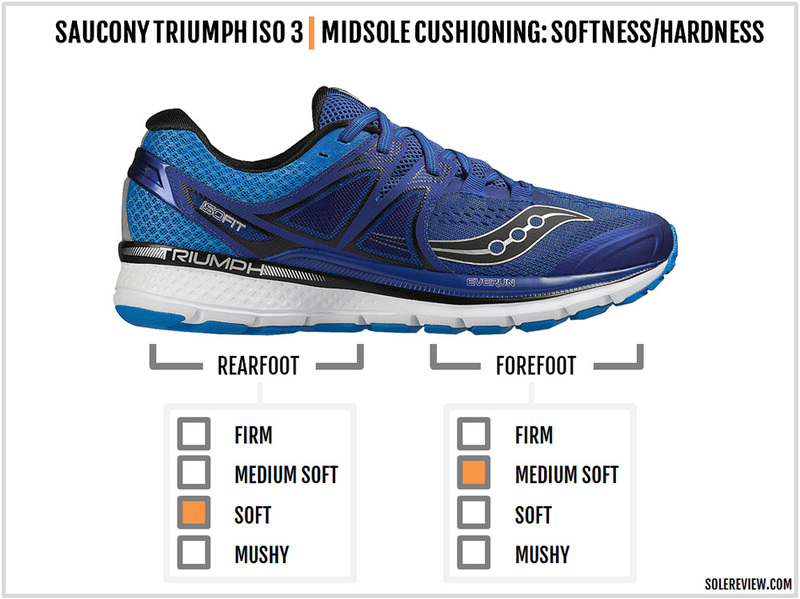 You can consider the Saucony Triumph ISO 3 at the top of the neutral cushioning food chain, and then draw a downwards path by way of the Ride 9, followed by the less expensive Breakthru or the basic Saucony Swerve. This way, all your choices stay 8 mm drop shoes. 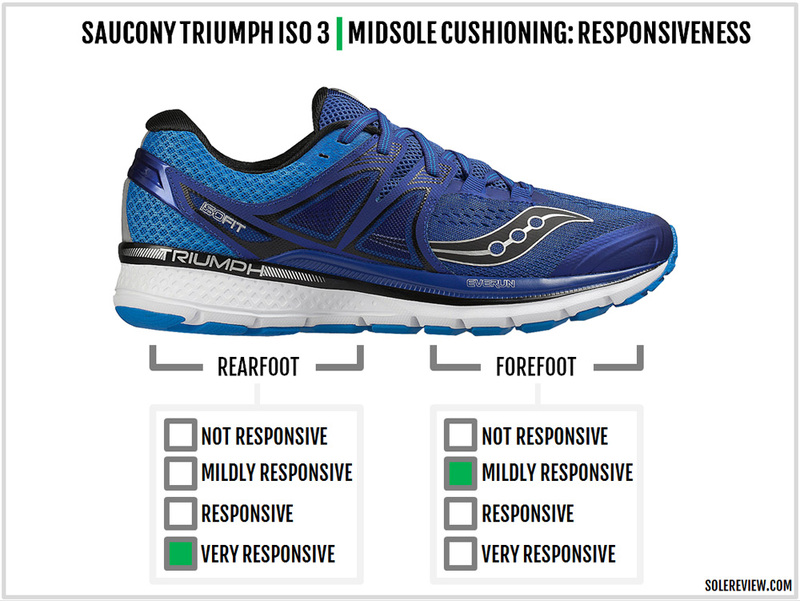 On the other hand, the upcoming Saucony Freedom ISO can be considered a Triumph ISO 3 upgrade. Sure, it’s got a 4mm drop and relatively minimal upper build. But all that pales in front of a full-length Everun midsole, which in practical cushioning terms, is twice the Triumph ISO 3 value for just $10 more. The Freedom’s upper might appear minimal compared to the rest of the line, but who knows, that could be future template for the most of Saucony running shoes.